Regularly consuming probiotics, or the “good” bacteria found in yogurt, milk and cheese, may help control blood pressure, according to a new review of past studies. Researchers found that consuming the proper amount of probiotics over at least two months appeared to modestly lower blood pressure. “I do not think the general public understands how probiotics might be beneficial to health at this stage,” said Jing Sun, who worked on the study at the Griffith University School of Medicine and Griffith Health Institute in Queensland, Australia. “The challenge to us is to convince patients and clinicians to accept the product in daily life,” Sun said. Past studies have shown probiotics can have a positive effect on blood sugar, cholesterol and certain hormones – all of which can impact blood flow, she noted. The new findings do not mean people should replace their blood pressure medication with probiotics and it is still unclear which strain or combination of strains might work best. The American Heart Association considers normal blood pressure to be a systolic reading of less than 120 millimeters of mercury (mm Hg) and a diastolic reading of less than 80 mm Hg. High blood pressure starts at 140/90 mm Hg and increases a person’s risk of heart disease, stroke, kidney disorders and other health problems. For some people with high blood pressure the only effective treatment has been medication, but that means costs and possible side effects. The new review, published in the journal Hypertension, combined the results of nine studies that randomly assigned participants to take probiotics or not. Seven of the trials were double-blind, meaning neither the participants nor the experimenters knew who received probiotics and who received a probiotic-free placebo until the end of the study. The different strains of probiotics were delivered in products like yogurt and milk. The studies included a total of almost 550 people. 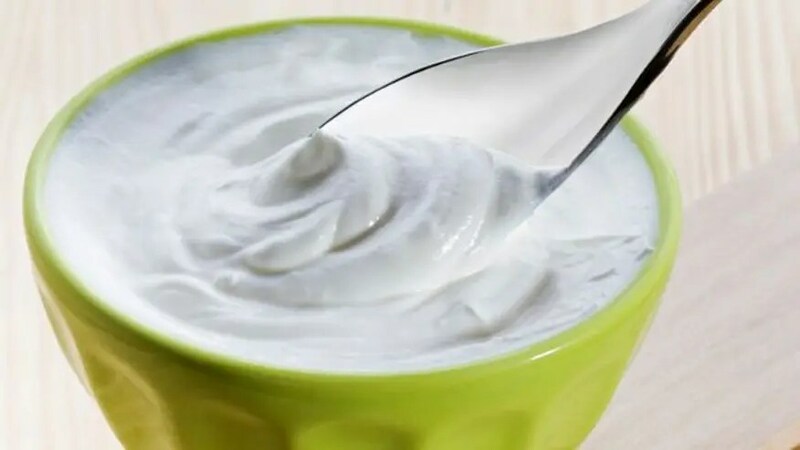 The researchers found that on average, probiotic consumption lowered systolic blood pressure (the top number) by 3.56 mm Hg and diastolic blood pressure (the bottom number) by 2.38 mm Hg, compared to a placebo or no treatment. Getting at least 100 billion colony-forming units of probiotics each day, the amount in a carton of some yogurts, seemed to be necessary for significant blood pressure improvements. And no change in blood pressure was seen among participants who were given probiotics for less than eight weeks. The researchers noted that the effect of probiotics was strongest among people who already had elevated blood pressure. She said the review is a step in the right direction. “Randomized clinical trials are the gold standard in research and they had a strict criteria for choosing the studies and they actually looked at human trials which are stronger than animal trials,” she said. “They used real foods that had probiotics at realistic levels, they didn’t use supplements or wacky chemical concoctions that no one has heard of. They used foods on the market so you and I could go into the market and pick (them) up,” she added. “Americans don’t like to think about bacteria so it’s hard for people to embrace it but there are good and bad bacteria and there is no avoiding them. Our gut is home to many bacteria and if bumping up the amount of good bacteria can optimize health and prevent chronic diseases then that’s a good thing,” Hoolihan said. The price of probiotic supplements varies, but a 30-day supply from the drugstore may cost about $30. Dr. Shira Doron, who has studied probiotics at Tufts Medical Center in Boston, said that because probiotics only seemed to have an effect under certain conditions in specific groups of patients, it’s hard to know how to make recommendations to patients at this time. “I don’t think this is ‘ready for prime time’ yet, as they say. That being said, probiotics might help, and generally don’t hurt, except perhaps your wallet, so if someone with high blood pressure wants to try probiotics as an adjunct to their regular blood pressure medication, I say go for it,” she said.